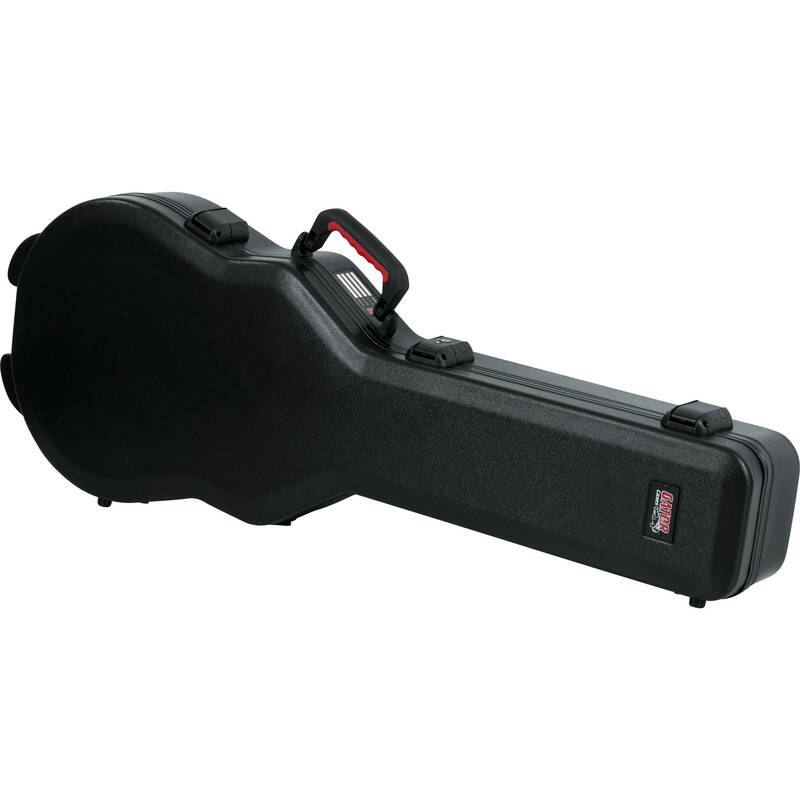 Travel safely and in style with the TSA Series ATA Guitar Case for Gibson Les Paul & Single-Cutaway Electric Guitars from Gator Cases. Featuring surface-mounted impact-diversion latches and a TSA-approved center locking latch, this ATA-rated case is ideal for air travel. The interior of the case is lined with attractive thick black plush, and features a universal-fit EPS foam nest and an extended-reach neck cradle as well as an accessory compartment for picks, strings, cables, and more. Heavy duty and durable, the case is built out of nearly indestructible military-grade polyethylene plastic with black powder-coated hardware and a continuous valance that gives extra rigidity by spreading the support evenly around the perimeter of the case. An injection-molded ergonomic grip handle makes for easy carrying.